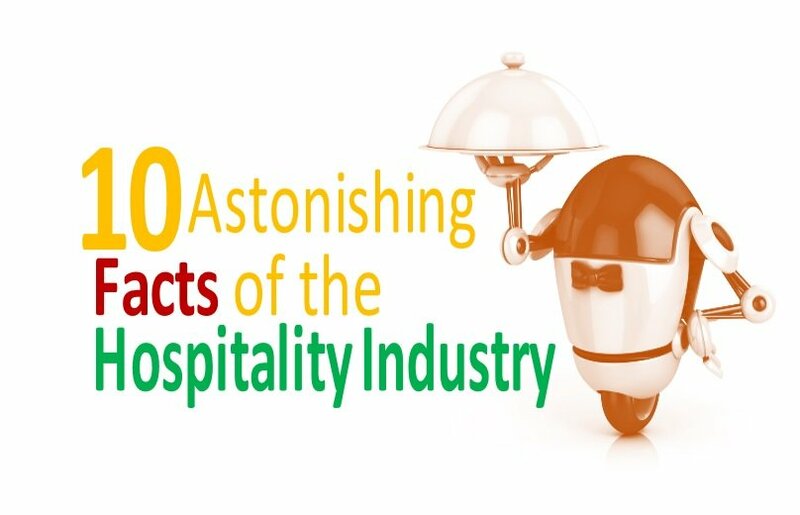 10 Interesting Facts about the Hospitality Industry ! Hospitality Industry is an industry that touches lives of almost every single person on earth in some way or the other. In this post, we present a few of the interesting facts about the hospitality industry. If you are from the industry, we are sure that you would be able to connect with these interesting facts. This article is intended to bring back some good memories for all the hospitality professional or hotelier who has had been an indispensable part of the industry. For everyone else, this article throws some light on what makes the hospitality industry so special. If you have not already checked, It would also be good to visit one of our earlier article that outlined 16 astonishing facts about the hospitality industry. But, before you do so, let’s begin with the list of interesting facts about the hospitality industry. How much is the Hospitality Industry worth? Approx. $10 Trillion or maybe even more. A lot of people confuse the Hospitality industry with the Hotel Industry. The hotel industry is just a part of the hospitality industry. Tourism, Aviation, Restaurant and Food services, Casinos etc. come under the Hospitality Industry Umbrella. Travel and Tourism alone contributed over 7.6 Trillion USD in 2016. The unofficial figure should easily go beyond $10 trillion in 2018 when other sub-industries are combined. Stastia– Facts about Tourism and Global Hotel Industry. Yes, it’s true. This Ice Hotel is built every year and can be reached only by a cable car. Ice Hotel in Romania has a Snow bar, A Church made of ice and an ice restaurant. Isn’t it amazing? This hotel features in our list of 8 amazing Ice Hotels. Now, this is how amazing the Hospitality Industry can be. Have you seen a swimming pool that can hold 66 million gallons of water? It is located in Chile in San Alfonso del Mar Resort. That’s huge. Well, enough said, here’s the picture that will speak volume about the Pool which is 20 times the Olympic size swimming pool. Now another amazing fact about the tourism industry. According to the World Tourism Organization, international tourist arrivals grew by over 7% in 2017 taking the number to 1332 Million. Isn’t it a staggering number and this is set to keep growing in 2018. Does this make the hospitality industry, one of the most prosperous industries of today? We leave this for you to decide. 5. Is Hospitality and travel industry, the biggest employer in the world? As per reports, 1 in 8 US jobs is in the Travel industry. It is expected that within 5 years 1 out of 10 people on the planet would be employed by the Hospitality Industry. Isn’t it an amazing fact that there are hotels within the hospitality industry, that are popular not because they are great lodging and accommodation destinations but more so because they are spooky and scary at times. A lot of these hotels belong to top hotel brands. Check out these Top Ghost Tours by TripAdvisor to know more on the popularity of Ghost tours. A lot of Top Haunted Hotels in the world include Ghost hunting in their packages as well while a few don’t claim the spookiness they have owned in the past. Interesting isn’t it? 7. Is Hospitality Industry the most Female friendly industry? As per the International Labor Office estimates, 55% of Global Hotel workforce are women. When the work is speaking about fair workplace regulations, the hospitality industry looks fair from decades now. One of our other articles speaks volume about the current Top Women Leaders of Hospitality & Travel Industry. Harmony of the Seas by Royal Caribbean International can accommodate 6800 guests. The virtual balcony makes this ship even more special. Yes, this is one of the interesting facts about the Hospitality Industry. Robotics and artificial intelligence is very much a part of this industry now. Although, these are just for the trial Hospitality industry is using Robots as Bell hops, Butlers, Receptionists and Pizza makers. Robot as receptionist in Japanese Hotel and Pizza Making Robots are examples of the new interesting trend that is soon to expand all over the Hospitality Industry. Dennis Tito was the first Space tourist back in 2001 and according to Daily Express, he paid a whopping $20 Mn to make a trip to the international space station. As on date, less than 600 people have travelled to space (as per definition, anyone able to travel beyond 62 miles above Earth would be considered to have travelled to space). However, companies like Virgin Galactic and Space X are set to launch Space Travel which would be open for all. 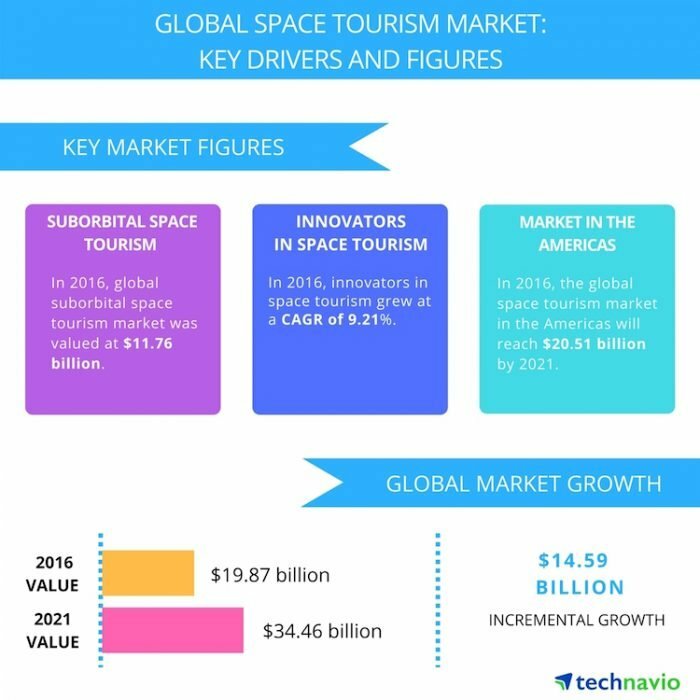 If the reports on Business Wire are to be believed, the Space Tourism market is going to be worth well beyond USD 21 Billion by 2021. Isn’t that an amazing hospitality industry fact? Here you go, few of the amazingly interesting facts about the Hospitality Industry. The Hospitality industry is changing. Riding high on the human and technology support. We tried to display how the travel industry is getting more and more interesting through the 10 points. Please do look for other interesting and informative posts on Global Hospitality Portal, a portal designed for the Hospitality Industry.